Summary: Lapis Lazuli is a deep blue gemstone and it has been precious goods since antiquity for its intense color. It is said that it can be against to evil spirits as home decoration. What’s more, with glossy and high polished surface, Lapis Lazuli beads are great for long-wearing designs. It is excellent for art projects, jewelry project, craft projects and more. Lapis Lazuli is a deep blue gemstone and it has been precious goods since antiquity for its intense color. It is said that it can be against to evil spirits as home decoration. What’s more, with glossy and high polished surface, Lapis Lazuli beads are great for long-wearing designs. It is excellent for art projects, jewelry project, craft projects and more. As we all know, beads are various in kinds, shapes, colors etc. 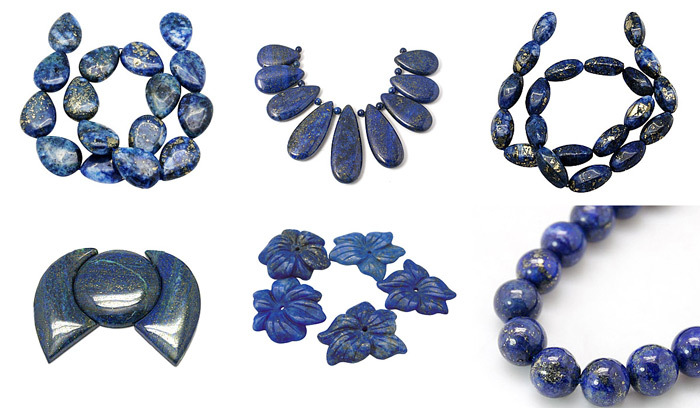 Lapis Lazuli is alike almost exactly the same as the other kinds of beads. They are in different shapes and colors. On nbeads.com, we have had listed most popular and stunning lapis lazuli in page. It is much easier for you to select your favorite type in varieties. For example, they are in round, rice, drop, flower etc. No matter how it shapes, let me show you in pictures to make you know how really wonderful they are. We have said they are perfect for jewelry making, so what will make them look more gorgeous and attractive into an item? 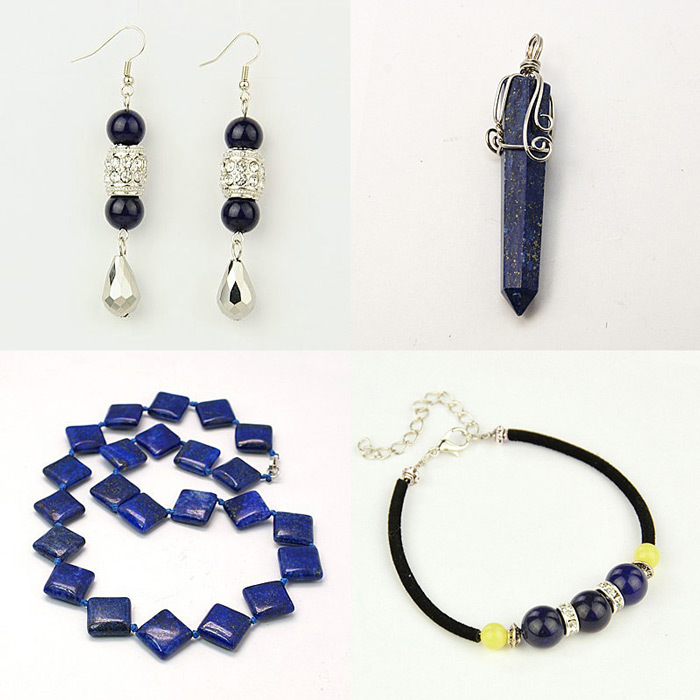 Look at the lapis lazuli jewelry below; take an example of the necklace which is grouped by Lapis Lazuli beads. Simple and fresh style is welcomed by customers. Bright colors are deeply loved by girls. The end of the necklace is connected by alloy lobster clasp.